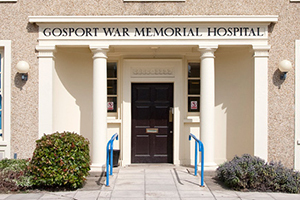 The report on the Gosport War Memorial Hospital scandal was published in June. AvMA welcomed the report, which entirely vindicates the families who had been raising serious concerns and seeking answers for 20 years. However, the Government’s response falls short of what is needed to satisfy the families and the public. AvMA’s Chief Executive Peter Walsh provided evidence to the Independent Panel. “The families who tried so hard to raise concerns about their loved ones’ treatment and have campaigned so long for answers have finally been completely vindicated and received an apology,” he said. “However, neither they nor the public are likely to be satisfied unless those responsible for ignoring them and keeping the lid on this scandal for so long are held to account. I am not talking about individual doctors or nurses, but people who were in positions of authority. Some of them will still be in positions of authority today. Scrutiny of this should go to the very top, to ministers of different political parties who oversaw this.